The curved shoulder design of The Michelin Pilot Sport 3 enables it to cut into the water, delaying the onset of aquaplaning without reducing the total contact area with the road. With a more curved shoulder area, Michelin Pilot Sport 3 is more efficient at evacuating water, improving safety in all conditions. 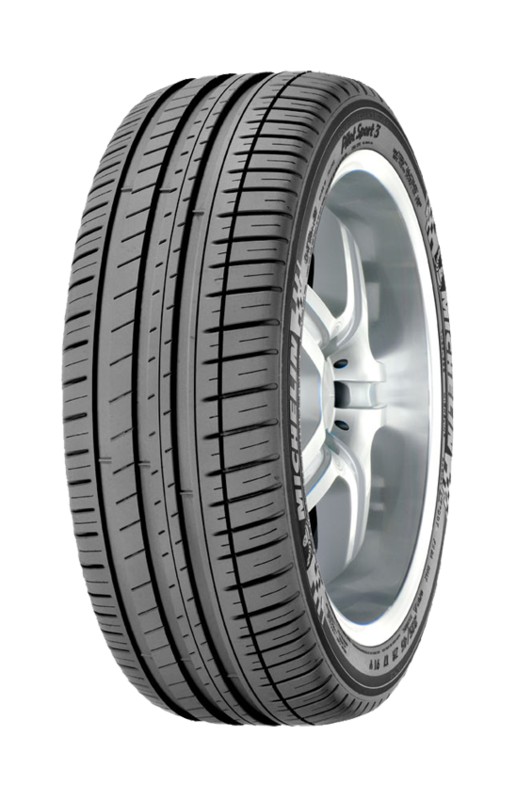 This design provides optimum road contact area and treads compound temperature for any force required from the tyre. The result comes from 50,000 hours of simulation and over 100,000 km of vehicle tests. At low speeds, the tread pattern remains flexible and allows the rubber to distort enough to reach a good operating temperature. 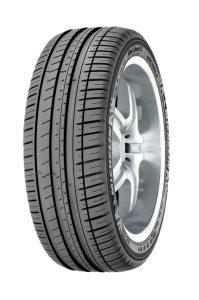 At high speeds, the tread pattern maintains its stiffness which prevents the rubber compound exceeding its optimum operating temperature. A high dense polymer that is extremely flexible. It conforms to the slightest bump in the road and breaks the water film covering the road. Michelin Pilot Sport 3 owes its excellent grip on wet roads to this polymer. A polymer characterised by a high resistance to wear. On each revolution of the wheel, the tread compound stretches and flexes allowing it to grip the road surface without tearing the bonds in the tread compound. A material characterised by its low energy loss. At each turn of the wheel, it allows the rubber to efficiently transmit the power of the engine virtually without loss. Michelin Pilot Sport 3 owes its remarkable energy efficiency to this polymer. Better road holding in bends and three metres shorter braking distance on wet roads. More driving pleasure: very precise steering recognised by car manufacturers. Outstanding energy efficiency and total long lasting, thanks to more than 10 consecutive Victories at the Le Mans 24 Hours.